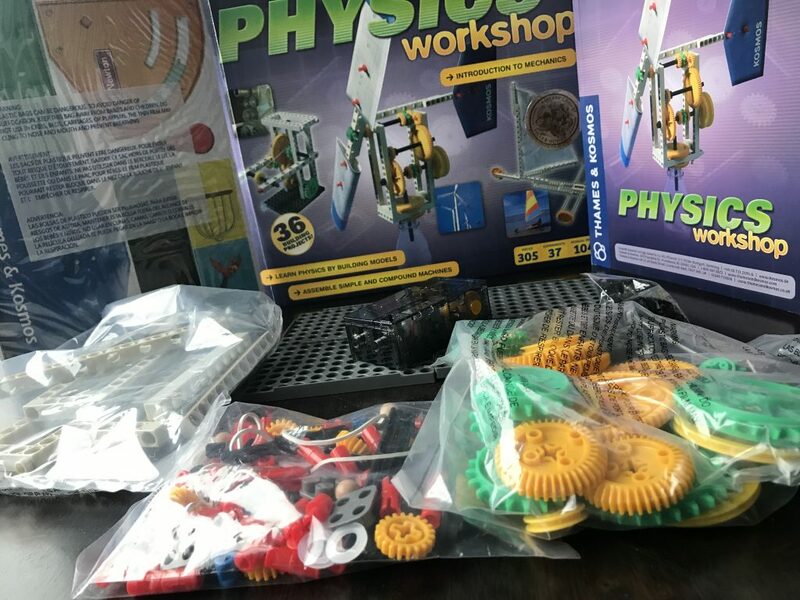 Thames & Kosmos Physics Workshop is an essential science kit focused on physics. 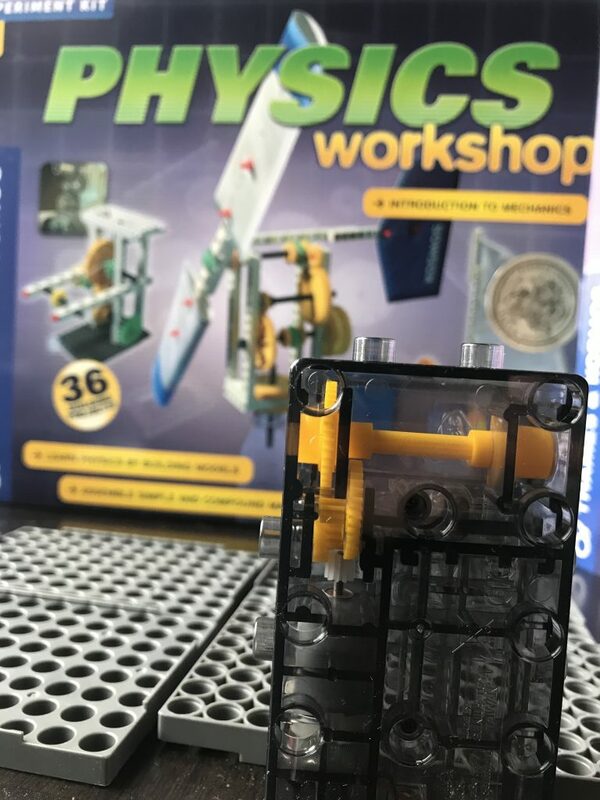 This physics kit is designed for children ages 8+. Experiment with simple machiness, gears, levers, screws, inclined planes, pulleys, wheels and axles. Learn and understand fundamental physics equations and read about real-world applications for physics. 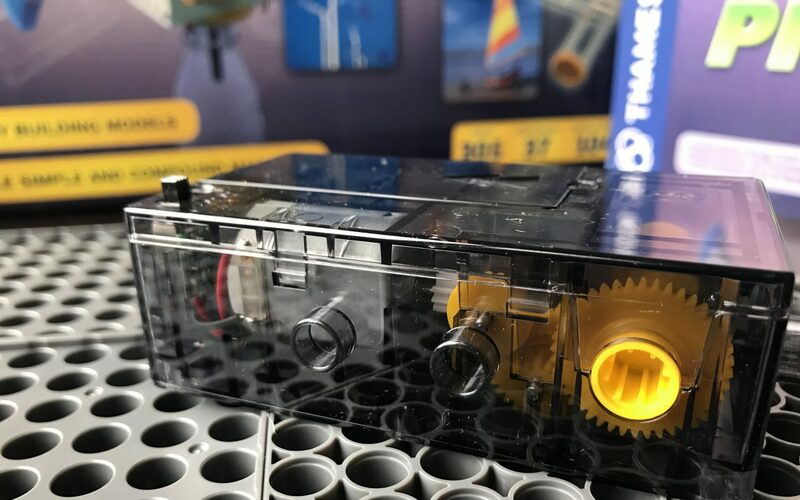 This kit allows you to build various models such as: a windmill, two-speed crane, force scale, sail car, mars robot, hammer machine, centrifuge, pinball game, centrifugal switch, ship’s lantern. his kit provides a comprehensive explanation of mechanical physics. Through building 36 models and conducting subsequent experiments with the models, you will learn the fundamental laws of mechanical physics. Build small models to learn about basic forces and simple machines. Build complex machines to learn about advanced concepts. This kit provides a hands-on approach that is fun and effective. This kit includes more than 300 building pieces. Also included is a 104-page manual that provides assembly instructions, experiments and explanations. This is a great item for any child interested in physics. Recommended for ages 8 and up.